LLOYD A. WOOLMAN (pictured), 84, of Grace Village Retirement Community, Winona Lake, Indiana, passed away on Monday, February 9, 2009 at 6:23 a.m. at Grace Village Health Care, Winona Lake, Indiana. Woolman was born on August 21, 1924 in Preston, Washington, to Bernard Woolman and Pearl (Johnson) Woolman. He was married on December 8, 1946, to Elizabeth “Betty” Barnes, who passed away on December 27, 1990. He was a professor at Grace College, Winona Lake, Indiana, in the Physical Education Dept. where he was a coach, athletic director and dean of men. A 1963 graduate of Grace Theological Seminary, he was also the pastor of West Etna Community Church, West Etna, Indiana, and pastored Grace Brethren churches in California, Alaska, and Virginia. He served in the U.S. Air Force and was discharged October 17, 1945. He was a member of Grace Brethren Church, past member of the Warsaw Kiwanis Club, and he received Coach of the Year in the MCC Conference in Soccer (2) and Track & Field (4). Woolman spent the last 18 years living in Arlington, Washington, and has been a resident of Grace Village Retirement Community, Winona Lake, Indiana, since October, 2008. He will be missed by his two sons: James (wife Janiece Widman) Woolman (Arlington, Washington); Gary (wife Becky Kent) Woolman (Ft. Wayne, Indiana); eleven grandchildren; nine great grandchildren; and one brother: Ralph Woolman (Phoenix, Arizona). He was preceded in death by his wife and two brothers. 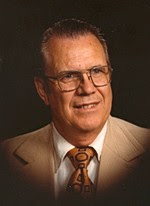 Visitation will be on Thursday, February 12, 2009, from 7-9 p.m. at The Chapel, 2505 W. Hamilton Road, Fort Wayne, Indiana. A memorial service will be held Saturday, February 14, 2009, at 11 a.m. at Grace Village Retirement Community in the Grace Village Chapel, with visitation one hour prior to the service. Pastor Rick Hawks will officiate, and burial will be in Concordia Gardens, Fort Wayne, Indiana. Memorials in Woolman’s memory can be made to Grace College Athletic Dept., 200 Seminary Drive, Winona Lake, Indiana 46590.